When it comes to 3D printing on FDM based 3D printers, there are an increasing amount of materials and colors to choose from. 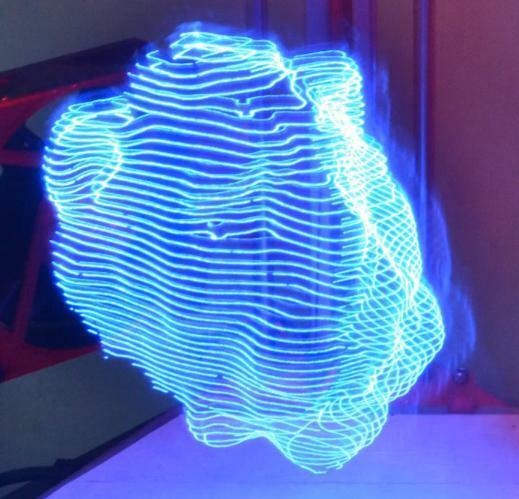 One man, named Ekaggrat Singh Kalsi, however, decided to try something entirely out of the ordinary; print with light. As many of us know, 3D printers use a technique where they print layer-by-layer until a design is complete. The objects come off the printer as whole 3-dimensional items. Ekarggrat decided to implement an entirely new concept within the print process. He wonder what would happen if instead of using traditional filament, he used LED lights, thus he set out on a mission to find out. Of course, tangible objects couldn’t be printed in lights, as we all know that light is intangible. 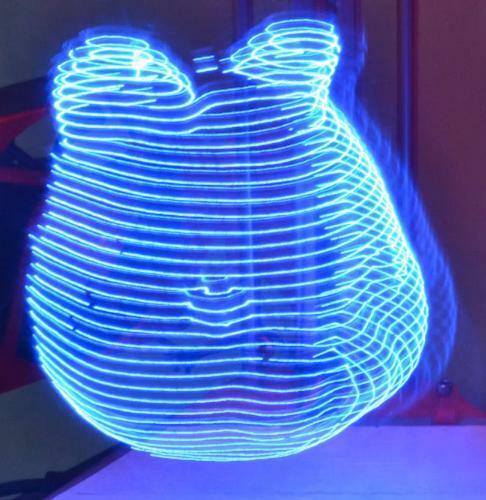 However, utilizing a camera, Ekaggrat was able to visuallize a complete 3D printed object, built entirely out of light. He then took his NIKON D3100 camera, set it to BULB mode, and took a photograph using a very long exposure value. This was while the 3D printer moved using the LED light on the path he defined in the gcode. The extruder on the printer was turned off, so that it didn’t actually print with traditional filament. “This is a twist to an age old technique called ‘light painting’,” Ekaggrat explained to us. The results? They were quite incredible. You can see each layer that the 3D printer moved around, shining its LED light as it went layer-by-layer until the print was complete. Of course, there is no end product other than these fascinating photos that were taken. The entire project took Ekaggrat only two days to complete, and he isn’t stopping here. 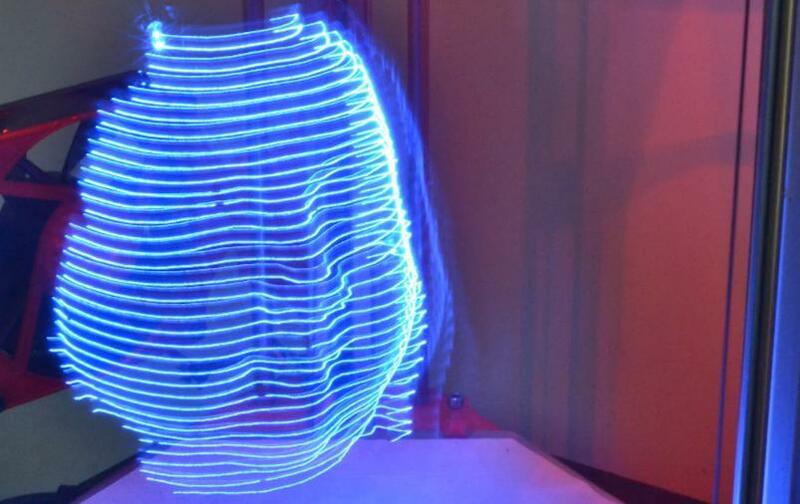 He plans on implementing a RGB LED to add color to his modern day ‘light painting’ technique.